Some things in life just really tick me off, rub me the wrong way or make me cringe. You know, pet peeves. Personal examples include people popping bubble wrap, barking dogs while I'm trying to be productive, the widespread misuse of apostrophes and touching paper after a shower (yeah, don't ask). 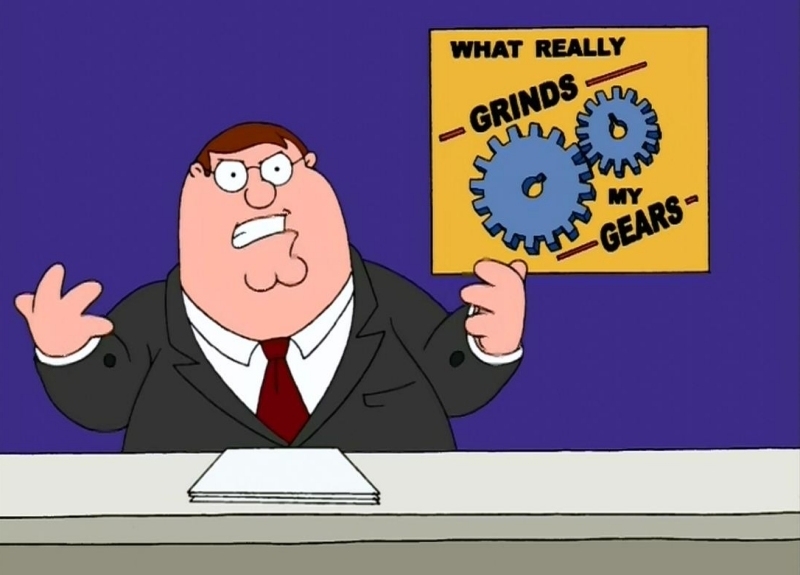 With this week's open forum, we're interested in hearing about what grinds your gears. Do fingernails on a chalk board drive you mad? Or maybe it's people that use the word "like" way too often in a conversation. Whatever it is, sound off in the comments section below!